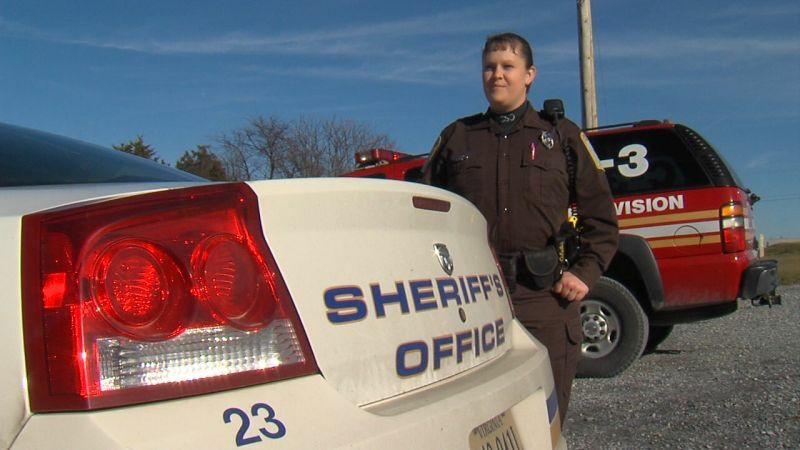 Bedford Co., VA – A couple of first responders delivered a baby in a gas station parking lot early Wednesday morning. It was an extra special delivery for Deputy Allison Key. It’s a call that will always be a special memory in her law enforcement career. It was 2:13 a.m. when that call came in, and the man on the phone was in a race against the clock to get his pregnant girlfriend to the hospital. Dispatcher Becky Dooley had the man pull off of Route 460 into the parking lot of a New London gas station. The screams from the mother-to-be in the passenger seat had them all worried the baby would get there before the ambulance. Fortunately, Deputy Allison Key got there soon after. “I was the closest one there, so I take off and get there and she’s definitely in labor. Screaming. Telling me that the baby’s coming and I’m hoping and praying that it’s not,” said Key. “She was keeping the mother calm until we got there. She helped assist me when I got there. Taking care of the mother until the medic unit arrived,” said Eddie Witt with Fire and Rescue. Witt was the next to arrive, and he delivered the baby. “Within about 8 minutes, we delivered a little baby girl,” said Witt. That was a first for Deputy Key. After 8 years on the road, this happened on her last night of duty. Key is leaving the sheriff’s office for a law enforcement job with a private company. But she says she plans to stay on as a reserve deputy. She also plans to stay in touch with the baby’s family.